This card could help Mage players develop some interesting new strategies. Another card has been revealed from Hearthstone’s upcoming expansion, Knights of the Frozen Throne. 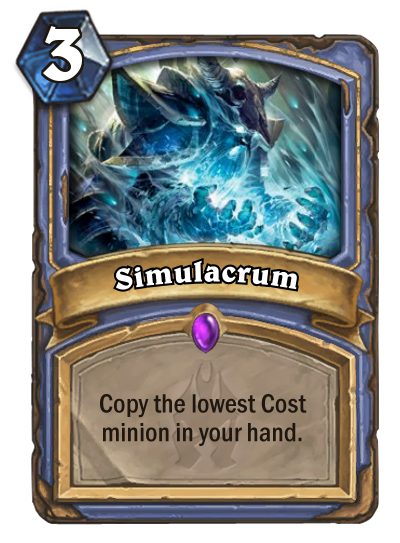 Simulacrum is a three-mana Mage spell that copies the lowest cost minion in your hand. At first glance, it’s difficult to determine whether this card will be effective in the current Hearthstone meta. It seems to be a control card that can be used to copy valuable minions, but it’s unclear how Simulacrum will interact with the other new cards in this expansion. Standard low-cost minions currently in the Mage meta are Mana Wyrm, Arcanologist, and Sorcerer’s Apprentice—but Simulacrum could also be used on bigger minions, such as Medivh, the Guardian and Arcane Giant—if they’re all you have in your hand. 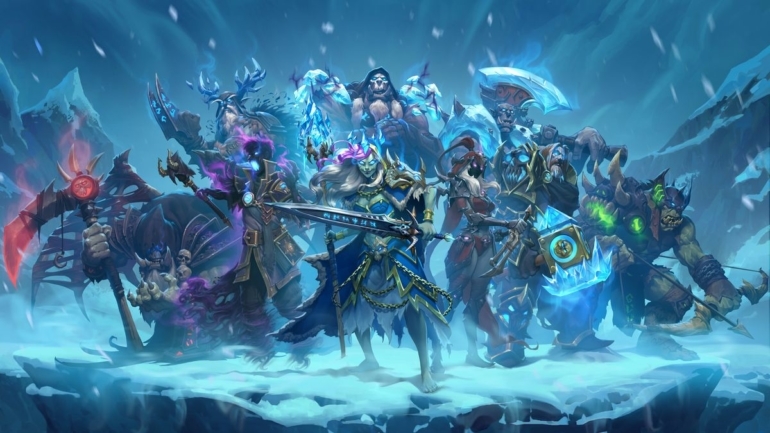 It’ll be interesting to see what strategies Mage players can develop with Simulacrum and all of the other new Hearthstone cards coming in the Knights of the Frozen Throne expansion.